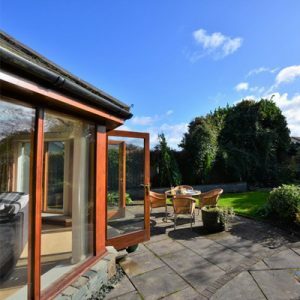 The tranquil location is set within spectacular scenery and commands views of the majestic peak of Skiddaw at the front and is set against Thornthwaite Forest at the rear. 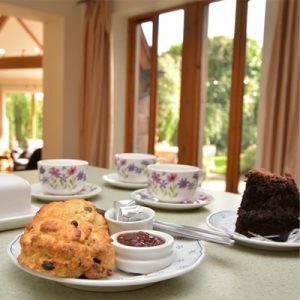 The cottages are in the village of Thornthwaite, between Bassenthwaite Lake and Derwentwater, and enjoy the benefits of a secluded well-kept garden. Cottages are for 2, 4 or 6 people. The Cottages can be inter-connected to provide accommodation for up to 12 people. There is an excellent variety of good eating close by with a choice of a healthy selection of pubs and inns. Thornthwaite, having ready access to the A66, makes an ideal centre for touring the northern and western fells and lakes, providing an easy holiday option for walkers and tourers alike. Thornthwaite is on the Coast to Coast cycle route and you can enjoy many cycle rides or walks from here without needing to move your car. 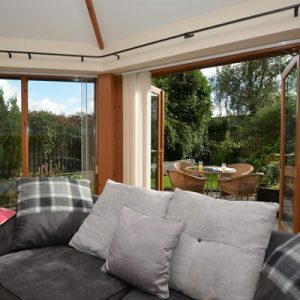 Yet Keswick with its many attractions, cafes, pubs and restaurants is just 5 minutes drive away, and Cockermouth, the birthplace of William Wordsworth is about 15 minutes away.